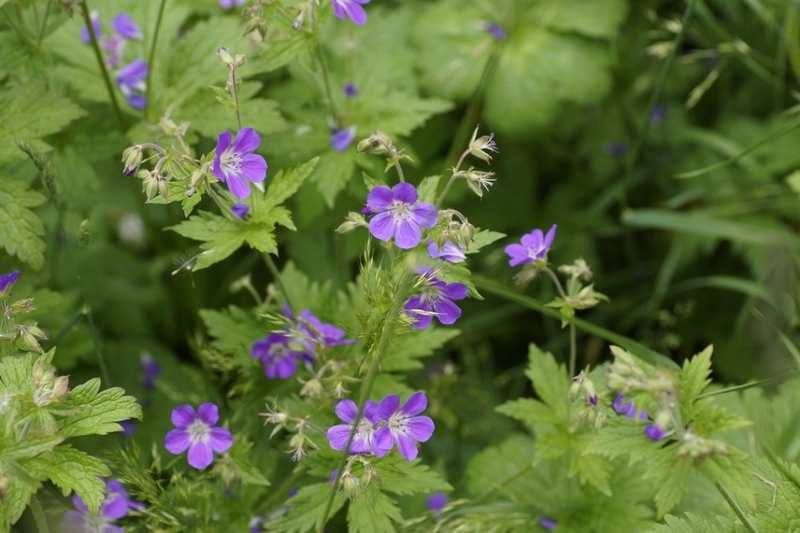 Wood cranesbill (Geranium sylvaticum): growing, planting, caring. 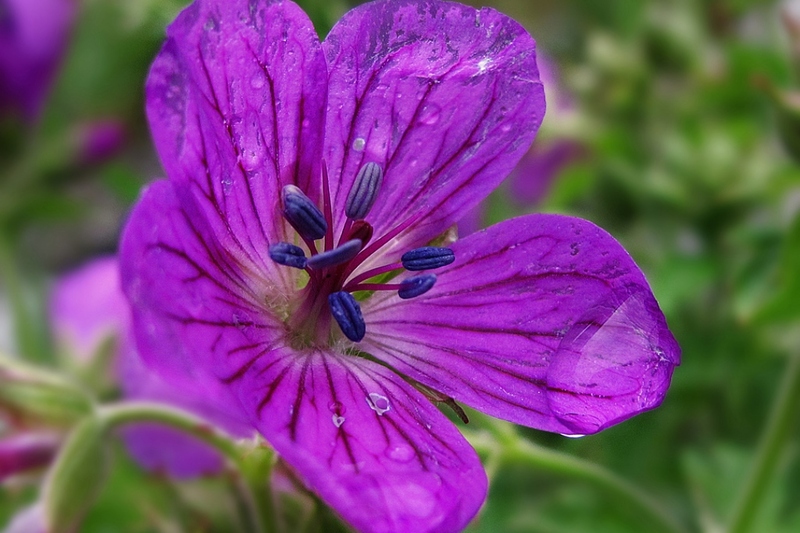 A species particularly valued in gardens in temperate climates, for moist, lightly shaded positions, as the name suggests, thus wonderful for underplanting deciduous trees. 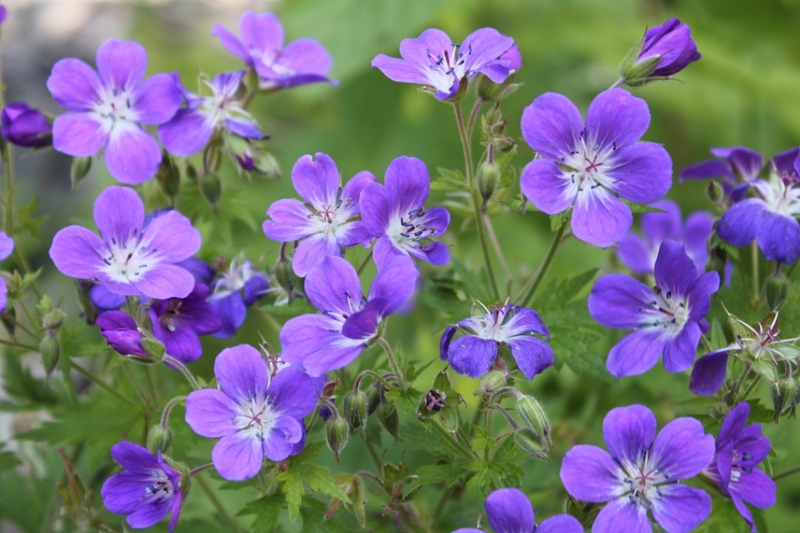 Geranium sylvaticum - the wood cranesbill - is a species of flowering plant in the Geraniaceae family, native to Europe and northern Turkey. 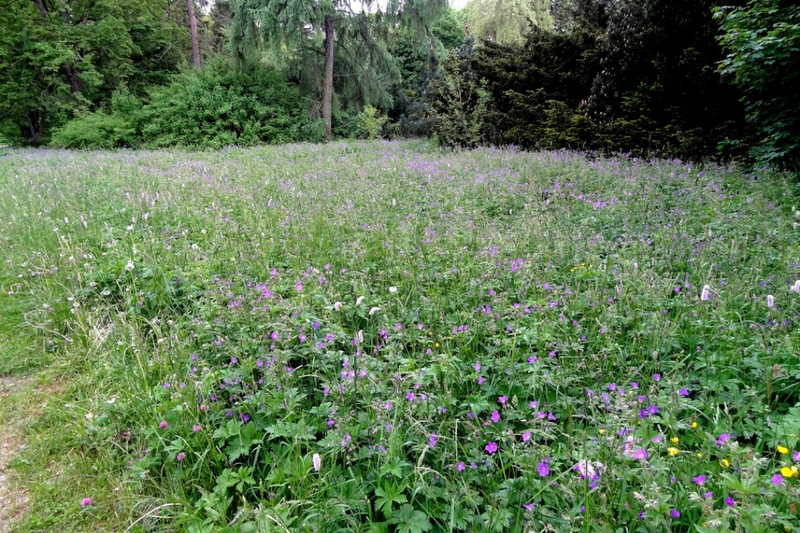 It is a hardy mound-forming herbaceous perennial growing to 75 cm (30 in) tall by 60 cm (24 in) wide, with deeply cut and toothed 7-lobed basal leaves and flowers borne on stalks with ruffs of leaves, from mauve to sky blue, depending on soil conditions.